A coffee-table style publication on The Social Studio, an influential Collingwood-based social enterprise that focuses on engaging with the local refugee community around fashion, food, art and belonging. Published by Melbourne Books, the 250-page book contains 60 profiles of prominent artists, architects, designers, musicians, community leaders and former refugees that have been involved throughout the Studio's first five years of operation. Interviews include: Nkechi Anele (Saskwatch), Jeremy McLeod (Breath Architecture), Pino Demaio (Assemble), Georgie Cleary (Alpha60), Chris Gill (Northside Records), Abe Nouk, Lisa Hilli, among many, many more. 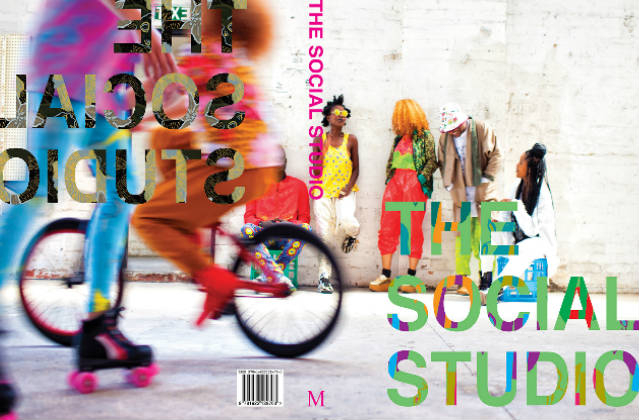 You can purchase The Social Studio: Fashion, Food, Art & Community from The Social Studio website.